Broad grins splashed across two farm hands’ faces as they examined the basket of freshly-gathered eggs swinging between them. Slowly, they made their way toward the front of Prospect Meadow Farm in Hatfield, where another farm hand wore a similarly cheerful visage as he busily raked the farm’s goat yard. A pair of the yard’s residents — two small white goats — chomped on wads of hay on either side of him. 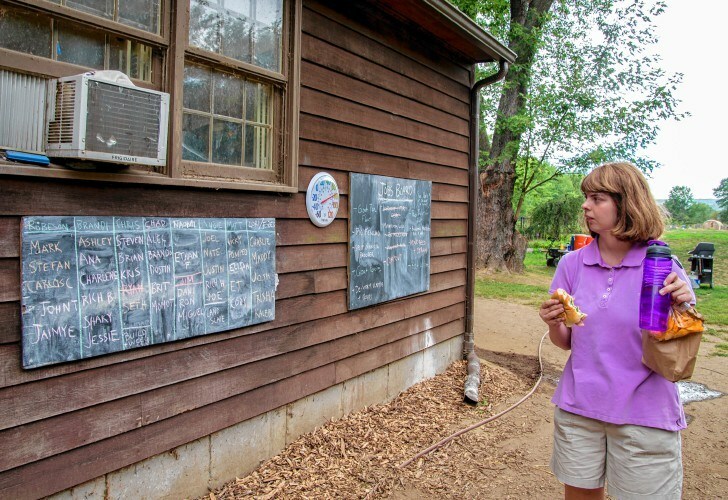 And next to a brown house in the center of the farm, Jaimye Larsen of Shelburne, a recent Mohawk Trail Regional High School graduate, examined a blackboard covered in pink and yellow chalk. On any given day, she relies on that board to let her know which farm task she’ll be responsible for and who she’ll be doing it with during her shift. For Larsen, who is developmentally disabled, the 11-acre farm represents a full-time job that may have been a tough position to attain had she not become involved with ServiceNet’s vocational rehabilitation and transitional employment assistance program, which provides its clients with information and hands-on training in a specialized field of work. Prospect Meadow is one of those opportunities. 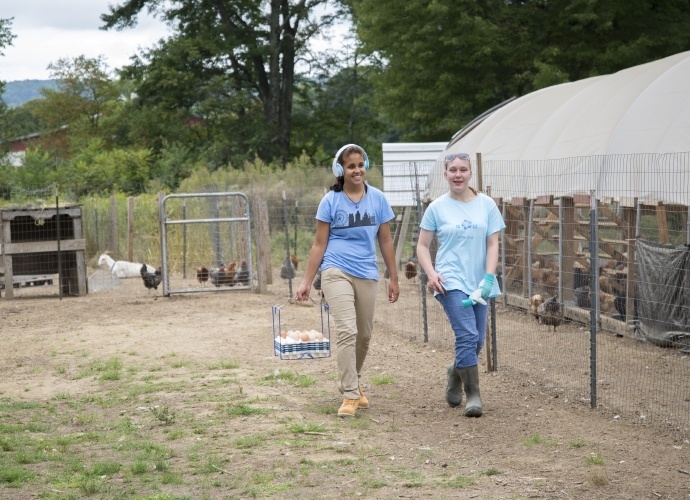 Larsen’s first trips to the farm came as a result of Mohawk’s partnership with ServiceNet, designed to give current students with various disabilities a chance to experience the program prior to graduation, then decide if it’s right for them afterward. Larsen liked the work — particularly, taking care of the animals — and transitioned from being part of the school program to participating full-time in the vocational program. Larsen said she’s also made plenty of friends on the farm, and looks forward to seeing them each day. Other farm hands, who range in age from 18 to 66, hail from Northampton, South Hadley, Chicopee and other towns. 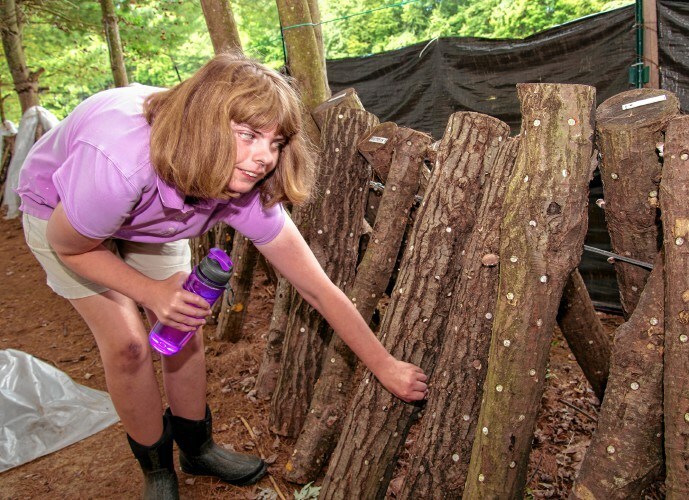 On any given day, she might find herself harvesting vegetables, feeding the farm’s chickens or pigs, or preparing lunches made from that produce at the farm’s nearby food washing, packing and processing facility, the Career Training and Exploration Center, or CTEC. In the winter, the farm hands take care of the animals, preserve food at CTEC and make candles. 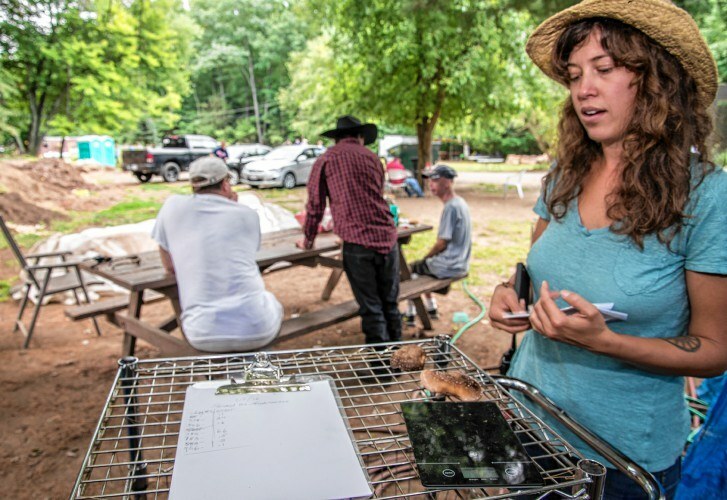 The eggs and produce produced on the farm is distributed through about 60 active farm share memberships and at local farm stands in Hampshire and Franklin County, said Amy Swisher, a ServiceNet spokeswoman. Currently, about 1 acre is under production, growing kale, greens, tomatoes, cucumbers and other produce. 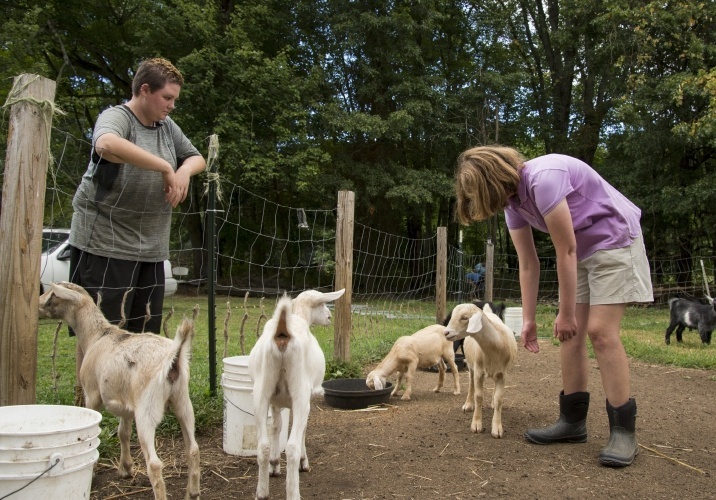 Now in its sixth season, Sheldon said Prospect Meadow started as a project with just a few llamas to keep residents with chronic mental illness at a group home in Williamsburg active and moved to Hatfield as it expanded. Work on the farm helps the program’s participants build social skills and learn to work on teams, too, Sheldon said. Larsen has since grown into a leader for newer farm hands. In a white room just past the tortoise enclosure at CTEC, Shawn Robinson, ServiceNet’s director of vocational services, and 66-year-old Charles Franklin laugh and chat as they brush eggs gathered at Prospect Meadow clean. On most days, that’s where you’ll find Franklin — cleaning and packing the eggs is his specialty at the Main Street food preparation facility. Robinson is the farm’s founder. He said the Williamsburg llama project started as a pilot program to gauge its effectiveness for getting the residents to become more active, and the results were encouraging. “Folks who typically didn’t get involved in household chores were starting to come out at night and feed the llamas, work with them, and they seemed to be more socially engaged,” he said. The same results were seen after a small garden was established at another facility, and the organization decided to combine the two as Prospect Meadow. Robinson said the work skills the farm hands learn through the program — taking instructions from a supervisor, learning to work out frustrations at work and get along with coworkers, the value of a paycheck — are all important for their future success, should they leave the program. He said participating in the program allows for a smoother transition once participants reach the age of 22, when they’re unable to continue to attend school during the day. “We all know getting work experience is important for finding work,” he said.